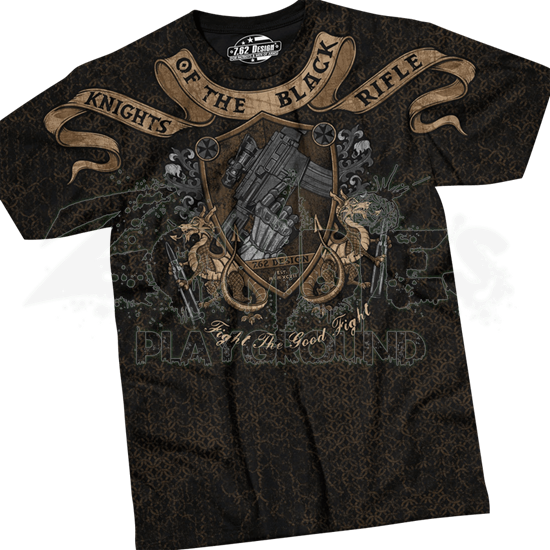 Chainmail and plate armor merge with modern weapons in the design of the Knights of the Black Rifle T-Shirt, paying homage to a new knightly order of the brave few who serve their country with distinction, integrity, and honor. This black cotton shirt displays a background pattern reminiscent of an old, worn chainmail hauberk. 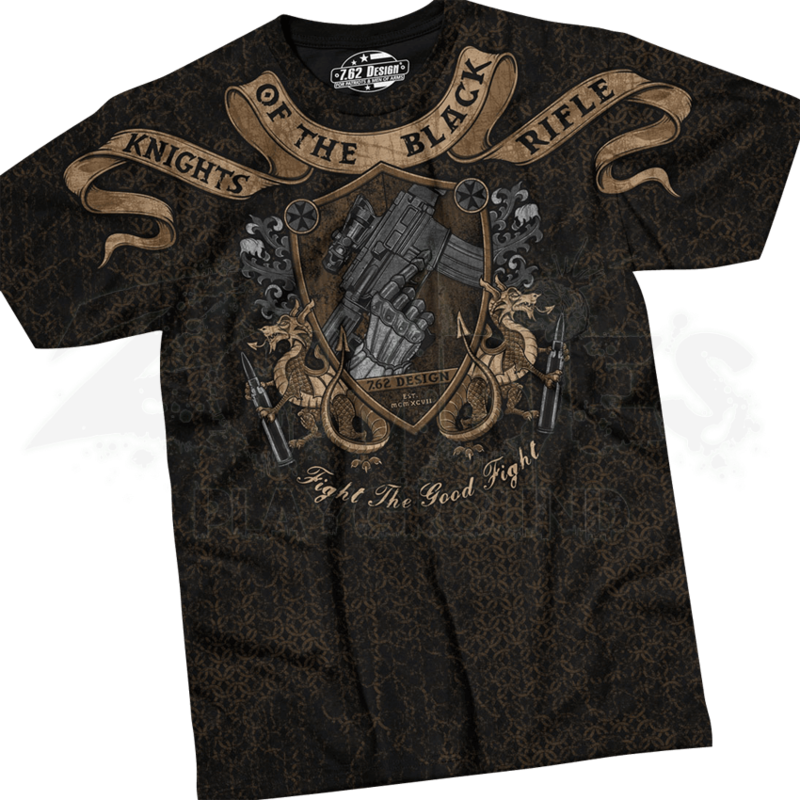 The front of the military shirt features a coat of arms and a ribbon banner that reads, Knights of the Black Rifle. The coat of arms includes a shield bearing a gauntlet that holds a rifle. Ornate foliate designs sprout from the sides of the shield above twin dragons that sit at the base, holding blackened bullets in their claws. At the bottom, the phrase Fight the Good Fight appears in script. The back displays an identical ribbon banner above a dragon with its wings spread wide as it clutches a large bullet. This medieval shirt pays tribute to the brave soldiers who serve in our military, making it a great choice for casual wear.